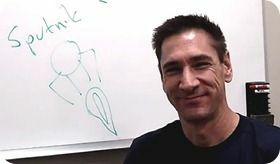 Dell’s project Sputnik was formed to create a Linux-based developer-focused distro that would run on specific hardware. Over the last 7 months Dell have been working to build a final product with developers and component suppliers using the Dell XPS 13 Ultrabook. Developer edition models went out in July. There have always been thoughts that a real product would hit Dell’s product range but that’s been confirmed now by project manager Barton George. 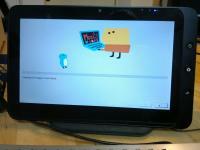 We’ve only reported on three Linux-related Ultrabooks since we started Ultrabooknews. We highlighted the Novatech nfinity as a potential candidate as it was available without an OS. Then there was the Dell Sputnik project which is supposed to have been offering a product in ‘fall’ but hasn’t delivered yet. Finally there’s the complete off-the shelf solution being offered by ZaReason UltraLap 430 – an OEM design that we’re seeing under quite a few brands now. Arstechnica have gone hands-on with it and put together a review. They seem quite happy. 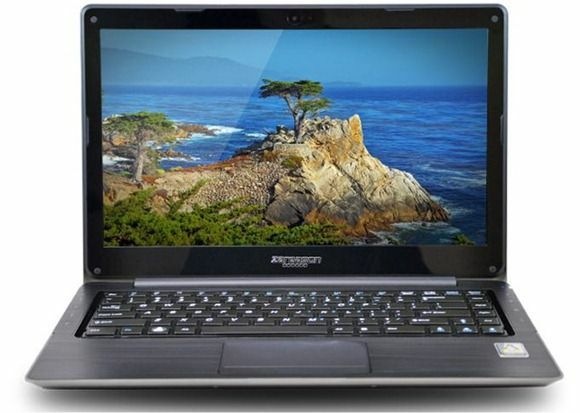 It’s not clear whether a Linux-based ultrathin with Ultrabook hardware specifications can be called an Ultrabook. Probably not because ZaReason don’t mention Ultrabook at all in their information on the Ultralap 430 – a Linux-based laptop built on Ultrabook hardware that’s now available. The Ultrabook name is not going to matter to this audience though. I recently went to a local development meetup, and found myself content to use my phone during a ‘Hack Night’ to remotely access my desktop at home to type, and then browse using the phone’s browser. My goal would be to try to find a device that is ultra portable, but that would be a little more easy to do some of my regular development tasks on. It seems like there are a lot of options out there that might fit the bill, but I don’t know if people are really doing much development on more mobile devices rather than just laptops or netbooks. It takes some patience, good eyes and even a little courage to mobile development work over a remote desktop solution on such a small screen. Luke is now looking for a solution that he can also use as a portable web server. I’m assuming that he also wants to do local development work too. It makes sense as relying on multiple network connections and ISPs to get to your work machine is a little wobbly! CPU and screen requirements can be quite high for software development but there might be a balance that can be done between local input and remote processing. Luke mentioned Ubuntu which immediately cuts out a whole section of UMPCs from the toplist. Z-series Atom devices have never been well supported by Linux distributions although I know there are some workarounds with Ubuntu. Maybe it’s even baked-in by now. Can anyone comment on that? 5-7 inch screen on X86 architecture at under 800gm. At least two USB ports and a VGA port. Local storage requirements relatively low. Touchscreen not really required. Tablet format OK with an external USB or BT keyboard. The 5-7 inch category X86 category is non-existent right now and for value-for money, could you really beat something like the 900gm Asus Eee PC X101 with Meego for 170 Euro? It makes decisions really really hard. Mobility is the driver here though so where do we go with this? The good old, possibly beast ultra mobile PC ever, Samsung Q1 Ultra Premium. If you can find it, go for it Luke! 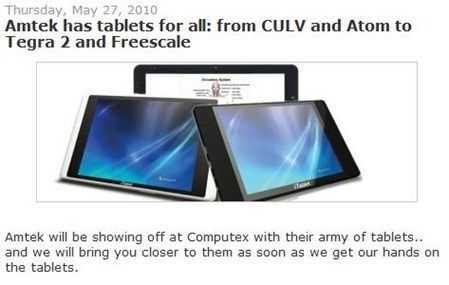 Other options you might consider are some of the newer, lightweight tablets. 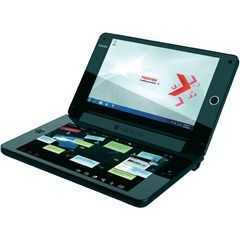 The AMD-based MSI Windpad 110 or Iconia Tab W500 for example. 10 inch, yes, but well under 1KG. Also keep an eye on new Oaktrail models running Meego. That might happen in the fourth quarter and would indicate a stable status for Linux on the Z-series CPUs. It’s a Fedora-based solution but I’m sure the GPU support will find it’s way over to other distro’s soon. Luke is not the only one looking at ultra-mobile Linux. I know a few other people that are struggling with this too. If you wait until the end of September we should have some more information on the dual-core Cedar-Trail devices. Tablets based on these should be lighter and smaller than the Pine-Trail equivalents like the Gigabyte S1080, a N570-based device at 900gm for about 550 Euro here. Having said that, Oaktrail devices like the Viewpad 10 Pro, Lenovo Ideapad P1 and Fujitsu Q550 (which I see in Germany for just over 600 Euro now) are worth looking at if weight and battery life is more important. With both of these solutions though you’re looking at Power-VR graphics. I worry about Linux support for that. There’s one other device you might consider. The Toshiba Libretto W100. Is the dual-screen device based on a dual-core U5400 CPU. It’s got standard Intel graphics and should work well as a web server and even for compiling due to its relatively powerful CPU. It can be noisy, warm and, lets be honest, very short on battery life (2hrs) but it’s actually the only ‘current’, small-form-factor ultra mobile PC on the market that isn’t running a Z-series CPU. Price: Around 700 Euros with UMTS (I’m looking at a European price here.) I wouldn’t mind one of these myself for a bit of mobile 480p video editing and hotel work. As for older devices, the previously mentioned Samsung Q1 Ultra Premium is the one to keep an eye out for. It’s still holding it’s own thanks to some fantastic engineering from Samsung. There are a few VIA-C7-based devices out there too. They’re cheap and not too powerful (think low-end single-core Atom) and can be a little on the warm side but at least Linux support would be easy. My choice? If I just wanted a lightweight Linux device for light duties, I’d probably be looking at the Asus Eee PC X101. 920gm, basic specs, small SSD storage and an unbeatable price of 169 Euro here in Europe. 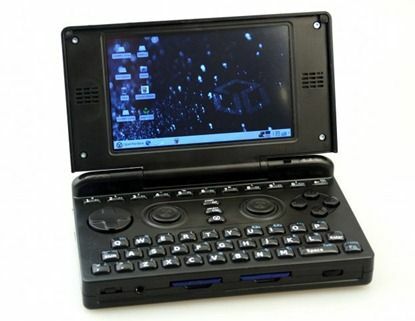 Anyone out there already doing mobile development work on Linux with a UMPC? Let’s hear your opinion. Linpus to Showcase MeeGo-Based Tablet Solution at MWC. Our Sneak Peek Video Now! 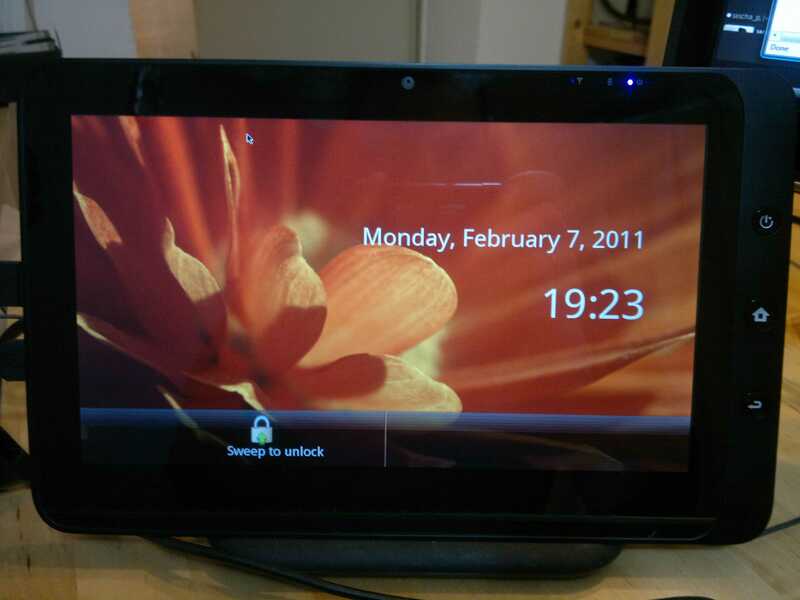 Linpus, a company that has been working on Linux distributions for netbooks for a number of years under their ‘Linpus Lite’ brand have been invited to MWC to demonstrate their current offering in the MeeGo and Qt booths. The solution is targeted at manufacturers of netbooks and tablets based on MeeGo. Like MeeGo, the Linpus solution will be a ‘base’ on which to build on through contractual work by Linpus. We’ve seen a tablet UI before but this is more than that. 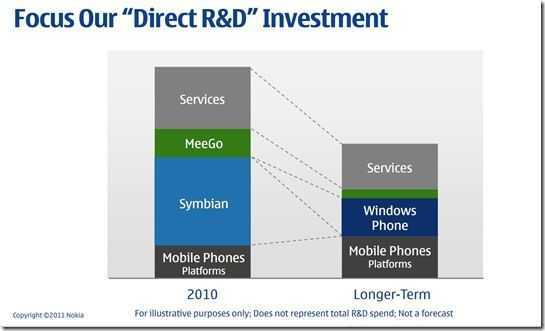 Our predictions for Intel and MeeGo activities at MWC are detailed here. We saw a glimpse of the Linpus product in our travels through the MeeGo Summit last November but I was lucky enough to be given a preview version of Linpus Lite Multi-Touch Edition for testing and feedback here in the Carrypad studio this week. Unfortunately, the target device, a Lenovo S10-3T is out of the studio right now so I couldn’t get everything up and working well enough for a full video demo but I did boot it on the Tegatech Tega V2 tablet where I was able to test the UI and apps, a key part of the Linpus solution. Note that this is a presentation suite rather than a full, polished OS but it gives you an idea of the sort of work the OS distributors (aka Operating Systems Vendors, OSVs) are prepared to put in with MeeGo. You’ll see an on-screen keyboard, an active desktop and a glimpse of the applications that Linpus have developed for the solution. It’s far from customer-ready but it’s worlds apart from what you’ve seen on MeeGo builds so far. The video below is also available in 480p resolution. More on Linpus Lite Multi-Touch Edition here. We’ll be at MWC next week. Firstly there is the iTablet Speed-Lite (AE03), packing a Nvidia Tegra 2 1Ghz, 1GB RAM, 2MP camera, 10.1 inch multi touch display and WiFi. Then there is the iTablet Ex-Lite II (AE04), wielding a Freescale 800MHz CPU, 512MB RAM, 2MP camera, 10.1 inch multi touch display and WiFi also. Both of these come with a choice of either WindowsCE 6.0R3/7.0, Android 2.0 or Linux and have options for bluetooth, 3G connectivity and GPS. To add to these is the iTablet Lite (TZ10), sporting an Intel® Atom Menlow-XL Z530 1.6GHz CPU, 2GB of RAM, 10.1 inch multi touch display, 2MP camera, WiFi, 4200mAh battery, Windows 7 and a choice of either a 1.8 inch IDE HDD or a 64GB SSD. Then the icing on the tablet cake in the form of T23A CULV tablet PC and the T23x CULV Series. All of which have Core 2 Duo 743 1.30GHz Intel Montevina Platform CPU’s, 2GB of RAM, 1.3MP cameras, 2.5 inch SATA HDD’s from 160GB to 320GB and coming with a choice of either a 12.1 inch XGA digitizer, touch or digitizer and touch screens. If that doesn’t get your tablet juices going then head over to JKKmobile for the full specifications and pictures. As I write, i’m installing to an MSI Wind and will do some testing. I’ll also test the image out on a Menlow device. I doubt it will work but let’s see! 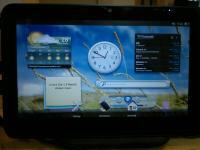 First look at MeeGo v1.0 netbook operating system. 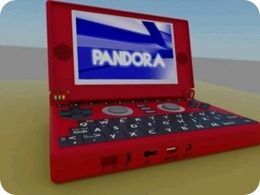 Open Pandora Almost Reaches Production with Mini-Clamshell Gaming / Hacking Device. Production of the cases was due to start in time for Christmas shipping but a hiccup on the case has held things up. Fortunately, some production sample units are out there and the videos keep rolling in. The Open Pandora product is aimed at hobbyists and hackers who want a relatively high-powered product for gaming-focused software projects. The device is just 140mm wide but contains a relatively powerful TI OMAP 3 board inside. That’s as good as the best ARM-based devices on the market right now! 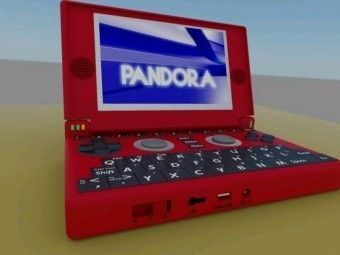 Information, specifications and previous news on the Open Pandora project available here.